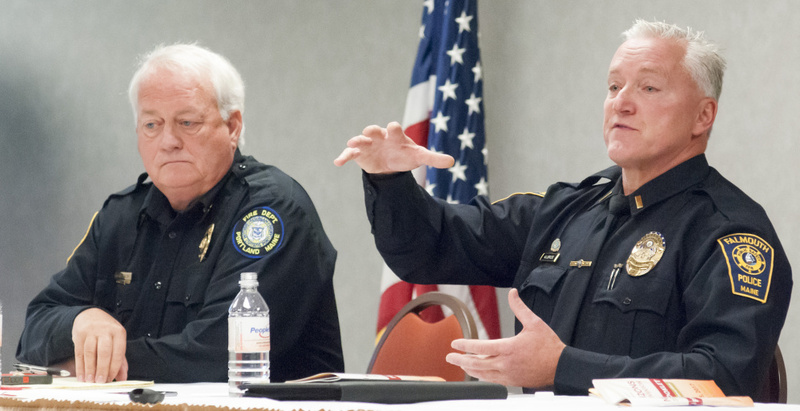 As part of the Maine Municipal Association's annual convention, front-line responders spoke about what they see daily and what they hope can be done. AUGUSTA — The people on the front lines of the response to Maine’s opioid crisis are doing everything they can when they’re confronted addicts and overdoses, but it’s not always enough for the addicts, their families or even their co-workers. “I keep thinking it’s going to get better, because how could it get any worse? But it is. It is getting worse,” Terry Walsh, deputy chief of the Portland Fire Department, said Wednesday. 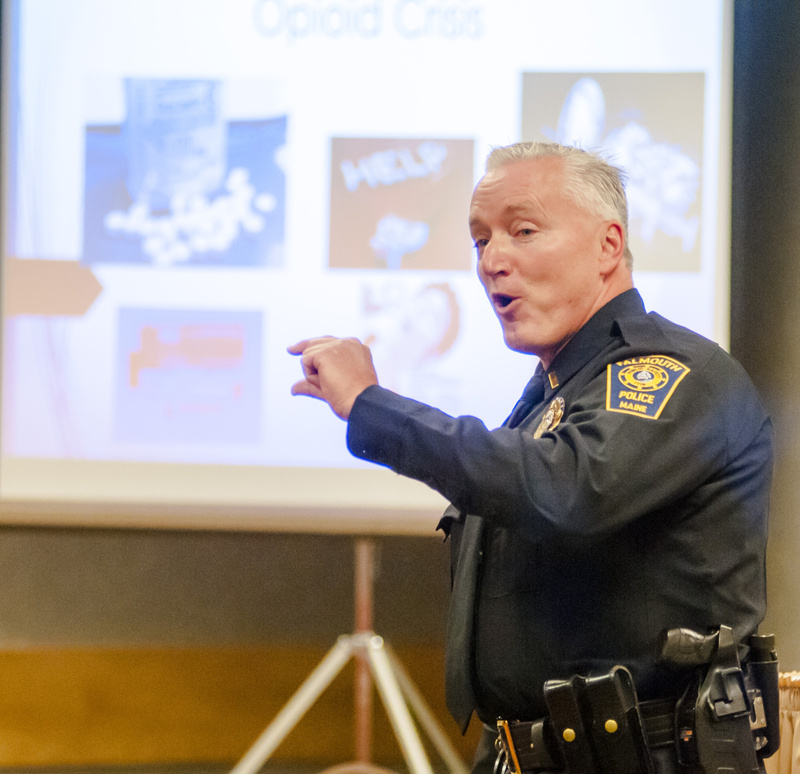 For more than an hour, Walsh and Lt. John Kilbride, of the Falmouth Police Department, spoke to about 65 municipal and law enforcement leaders at a session of the Maine Municipal Association’s annual convention about the state’s opioid crisis about what they see every day. A number of those officials had addiction stories of their own to tell of friends and family members who have become addicted to heroin, fentanyl and carfentanyl. Walsh said when he first starting working in Portland in 1977, he and his co-workers encountered heroin occasionally. Now he and his team know that when they come on shift, it’s not if but how many overdoses they will see that day, in front of schools, on Interstate 295, in homes and on the street. Not all overdoses result in deaths, but the death toll from opioids is rising. 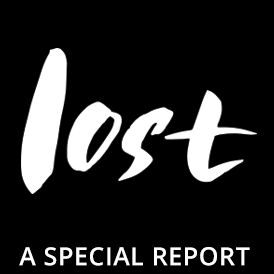 In 2016, 376 drug-induced deaths were reported statewide, according to the Expanded Maine Drug Death Report for 2016, funded by the Office of the Maine Attorney General and compiled by Marcella Sorg, of the Margaret Chase Smith Policy Center at the University of Maine. That number is a 38 percent increase over the deaths reported in 2015. Of the deaths in 2016, 88 percent were accidental overdoses. Most deaths were caused by two or more drugs, and two-thirds of all deaths were caused by nonpharmaceutical opioids. The state’s jails have become the biggest detoxification centers for the state. In Cumberland County, where the jail population is typically about 400, about 80 percent of the inmates are there as a result of substance abuse. “There is no clear pathway from detox on through to treatment,” he said. Kilbride praised initiatives such as Operation Hope, sponsored by law enforcement and others in Scarborough, under which addicts can come to police for help. “They have worked with insurance companies and treatment facilities out of state to provide help to more than 200 people,” he said. But not every law enforcement agency can do that, he said, and Maine has few other options for treating addiction in the state. For him, the answers lie in treating addiction as a disease and providing education about drugs. Drug abuse is like diabetes, he said. If you have it, you have to manage it, and the way to do that is with suboxone or methadone, he said. That’s what saved a member of his own family who became an addict. He stressed the importance of education and the leadership role of municipal officials to help get the message out to schools and encourage their law enforcement agencies. For Patricia Brochu, Old Town’s city clerk, jails are not the answer. She said it’s sad that she’s hoping that the member of her family who is addicted would be arrested to have an opportunity to go through detoxification. 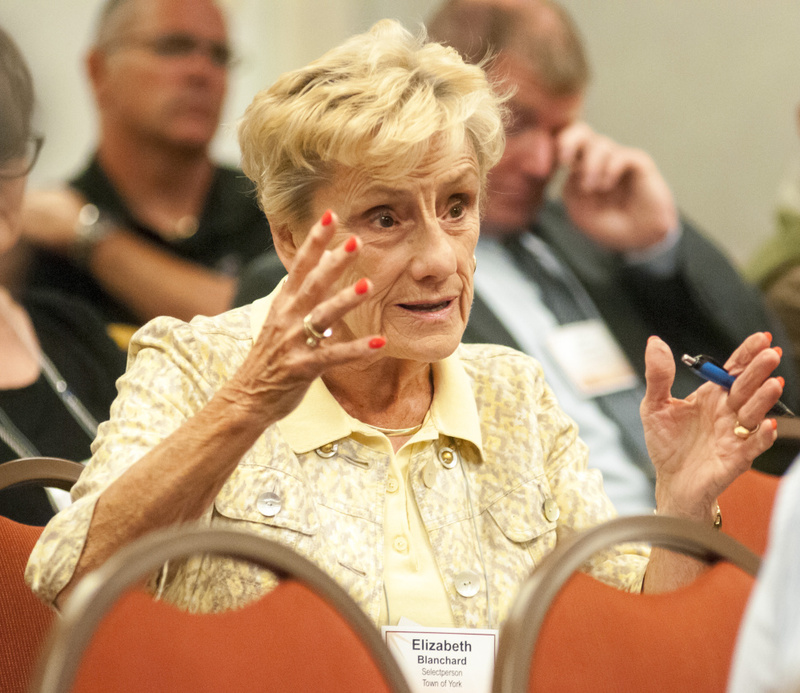 The discussion was part of the first day of Maine Municipal Association’s annual convention at the Augusta Civic Center. Other sessions on Wednesday included updates on best practices in municipal infrastructure projects, addressing change and challenges in budgets and taxes and managing weather-related risks to coastal communities.